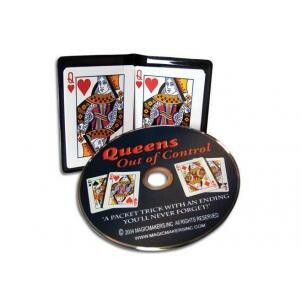 The Joke will be on the Queens when you change them from Queens to Jokers right in front of your audience’s eyes. The ending of this trick you will never forget! Comes with the special packet of cards and an instructional DVD where Gerry Griffin demonstrates and teaches this wonderful card effect. Plus, go in-depth and learn how to perform Magic Elmsey Counts With Cards!